12/11/2013 - Screw it, let’s do it! Top thirteen reasons why you should NOT wait to get your movie right. 05/24/2013 - Why would anyone invest in your film? 04/02/2013 - Guerilla Film Makers Pocket Book Launch A Success, and SUS Tops The Box Office Thanks To YOUR SUPPORT! 02/20/2013 - Breaking Into Hollywood: The Guerilla Pocketbooks arrive! 11/28/2012 - If money were no object, what film would you write, what movie would you shoot? 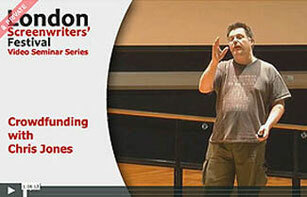 11/05/2012 - How to recut your movie – mini masterclass in under ten minutes! 10/10/2012 - Do you want to walk the red carpet OR own the red carpet? 08/18/2012 - Where are you drawing your inspiration from? 08/07/2012 - How much pain are you prepared to inflict? 05/22/2012 - How to begin a career in the creative industries… Or, how to reboot an old career in the creative industries. 12/02/2011 - iTunes and Shorts International Royalty Report… What’s the deal? 05/12/2011 - What's the secret to getting through a huge script on limited resources? 01/01/2011 - A guide to film finance and funding – are you going to get funded or financed? 05/10/2010 - Guerilla Film Makers Pocket Book Launch A Success, and SUS Tops The Box Office Thanks To YOUR SUPPORT!